West Pharmaceutical Services (Lionville, PA) is adding significant molding and assembly capacity in France to produce its new B.safe syringe safety system, which is designed to help protect against needlestick injuries when using a prefilled syringe. The large investments are being made at West’s Normandie facility, located in Le Vaudreuil, France, which has produced more than 1 billion units of the company’s eris safety system. Significant scale-up to high-volume manufacturing is expected in the first half of next year. The completely new system is manufactured with a Crystal Zenith (CZ) pre-fillable syringe. “CZ is a novel material made from cyclic olefin polymers, which are more break-resistant and inert than glass,” a company spokesman told Plastics Today. The CZ prefillable syringes were first developed by West Pharma’s Japanese partner Daikyo Seiko to counter breakage problems with glass syringes. In 2011, West acquired the IP and rights to the B.safe system, which will fit into the company’s portfolio of prefilled syringe offerings and technologies, including the NovaGuardT passive needle system for Luer Lock syringes and the érisT system. 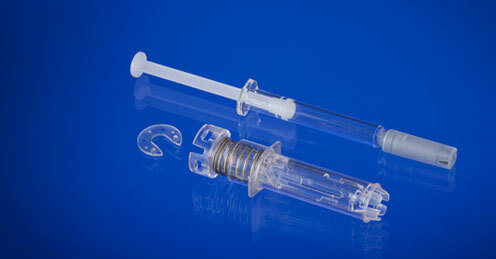 Designed for syringes with a rigid needle shield, the new system comes in 0.5mL and 1mL versions. The Tech Group was established in Phoenix, AZ, in 1967 by Steve Uhlmann and was acquired by West Pharmaceutical Services in 2005.